Outcry Witness is available from the Texas Book Consortium, which distributes TCU Press books. Or at your local independent bookstores. Or at the Thomas Zigal Amazon page. Many Rivers to Cross is the winner of the Jesse Jones Award for best fiction from the Texas Institute of Letters and the fiction award from the Philosophical Society of Texas. The book is available in hardback, paperback, and eBook formats. Winner of the 2005 Violet Crown Award for Fiction from the Writers League of Texas. To order, click here. 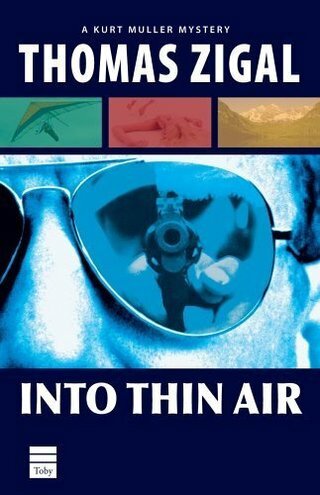 Into Thin Air is the first book in the Kurt Muller trilogy. Library Journal says, "This is an unusually fine first mystery and should win many fans." To order, click here. Hardrock Stiff is the second novel in the Kurt Muller mystery series. Kirkus says it's "one of the year's happiest surprises." To order, click here. 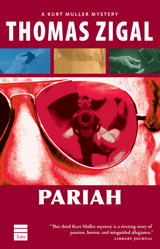 Pariah is the third novel in the Kurt Muller mystery series. Scott Turow calls it "A hugely enjoyable book." To order, click here. The final novel in my New Orleans trilogy -- Outcry Witness -- is available from TCU Press. The novel begins with a Catholic priest found murdered in his rectory. For more up-to-date info, check out my Facebook author's page: Thomas Zigal on FB. Thank you very much to the Philosophical Society of Texas for giving Many Rivers to Cross their annual fiction award. I am deeply grateful for their recognition. My novel Many Rivers to Cross won the 2014 Jesse Jones Award for Fiction from the Texas Institute of Letters. 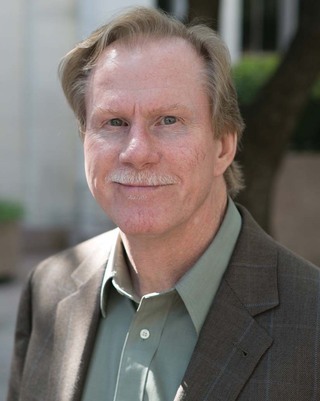 The Texas Institute of Letters was founded in 1936 by William Vann and other Texas writers, including charter members J. Frank Dobie and Walter Prescott Webb. TIL began giving awards in 1939. 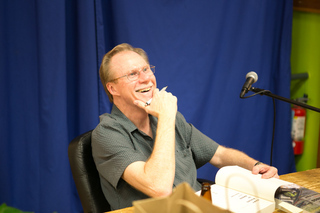 Previous winners of the Jesse Jones Award for Fiction include The Last Picture Show and Lonesome Dove by Larry McMurtry, All the Pretty Horses and The Road by Cormac McCarthy, Ship of Fools by Katherine Anne Porter, The Dead Father by Donald Barthelme, The Oranging of America by Max Apple, and many other excellent works of fiction. I am deeply honored to share their company. Many Rivers to Cross was published by TCU Press. The book is available in hardback, paperback, and ebook formats. Readers can order Many Rivers to Cross from the Texas Book Consortium, which distributes TCU Press books. Or at your local independent bookstores. Or at Thomas Zigal's Amazon page. The story takes place in the first three days after Hurricane Katrina struck Louisiana and the Gulf Coast in late August 2005. The narrative follows several characters stranded in the flooded city as they struggle to survive. It took me four years to research and write the book. It's a work of fiction inspired by actual incidents that happened in the early days after Katrina's landfall. As sources of the story, I relied on visits to New Orleans, personal interviews, email exchanges, blogs, online written and video reports, documentary films, books, and many hours of television and newspaper coverage. Many Rivers to Cross is the second novel in my New Orleans Trilogy. I am fast at work writing the third and final novel of the trilogy. Dallas Morning News, by Si Dunn: "Austin writer Thomas Zigal’s powerful, engrossing novel is set in New Orleans in the immediate aftermath of Hurricane Katrina. Some of his characters risk arrest, urban savagery and death as they try to find and rescue family members and friends trapped in the city’s horrific devastation. Other characters struggle to survive while awaiting help. And prisoners trapped in a parish jail, abandoned by their guards, must somehow break out or drown." "Many Rivers to Cross drew me in and never let me go. The narrative brought back, vividly and painfully, the most unforgettable story I've ever covered. Zigal uncannily captured the surreality and madness of that week after the storm when the rule of law disintegrated in one of America’s great cities and an epic calamity revealed the very finest and foulest of the human spirit. I was in many of those places where his characters passed through, and I can tell you that Zigal did his homework." -- Chuck Kinder, author of Honeymooners and Last Mountain Dancer: “Thomas Zigal’s old friend Raymond Carver was wont to say that within every good writer there is at least one particularly great book waiting for the right amalgam of events, both interior and exterior, for the writer to capture in a story that will catapult him or her into posterity. 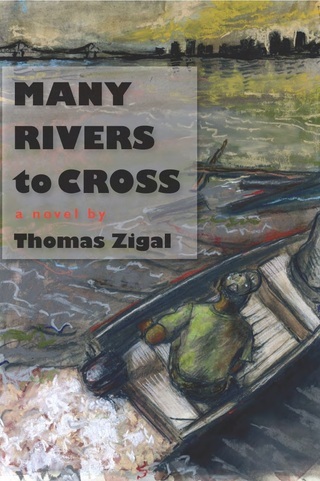 “For all of Zigal’s previous fine, first-rate books, his new novel, Many Rivers to Cross, is his great book, his masterwork, as it were, for the ages. It is both uniquely Southern in nature and universal in scope. “Zigal takes us into the destructive heart of a perfect storm, a convergence of the fierce wrath of nature, the multiple failures of a corrupt and indifferent bureaucracy, and the ensuing lawlessness that feeds upon the corpse of a once great city. “Under his masterful and cinematic prose, Katrina is transformed from a news story into compelling and personal survival narratives that flood toward startling fates. His unlikely main heroes are the members of an already fractured family who know well the disaster of living lives of bad choices. Now all of them struggle to emerge as survivors and the saviors of those they love most. It is their intersecting narratives that compel the trajectory and structure of Zigal’s taut, horrific account of salvation and redemption. This novel is painful and scary to read, but like the old cliché, it is a page-turner that can’t be put down for a single moment. The three Kurt Muller mystery novels and The White League are now available on Kindle and in new paperback editions from the AmazonEncore imprint of Thomas & Mercer. 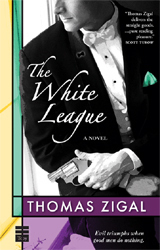 This is the first paperback edition of The White League. See "Selected Works" on this website for reviews. Visit Amazon's Thomas Zigal page and order today. You can also download and read Kindle books with no Kindle required! Read Kindle books on your computer, tablet, or mobile phone with Kindle reading apps. Download a Kindle reading app for free at Kindle apps. "Thomas Zigal has entered New Orleans' heart of darkness after Katrina. His story is brave, frightening, and so dramatic that at times you have to get up and walk around the room." Blackmail, an elite secret society in New Orleans, and a white supremacist running for governor of Louisiana are the main ingredients in this Southern crawfish boil of a novel. "This is a terrifically strong and wonderfully humane new voice in crime fiction." "A deftly plotted mystery...intricate and ingenious.... Zigal tells a provocative and compelling story." "Kurt Muller remains one of the most interesting characters on the American mystery scene."